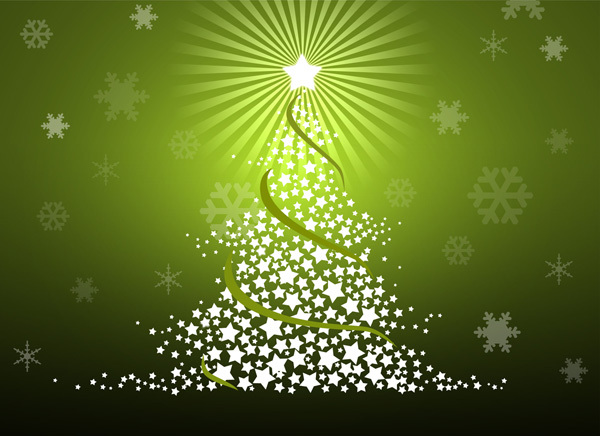 It’s the festive season again and as usual we find ourselves asking where has the year gone?! Hurricane Abigail has well & truly blown any remains of our questionable Indian summer away... Now we're getting wrapped up in our hats & scarves enjoying sunny Sunday strolls along the Lagan, under a cascade of crisp multi-coloured falling leaves. As quick as it was, 2015 has been yet another fantastic year for Northern Ireland. A year in which 'wee' Belfast won a spot on the global edition of the board game Monopoly after being voted in the top 10 most popular destinations. Sure we knew it was only a matter of time, with endless things to do and see, the warmest of welcomes, the craic and of course, the people, we had to be up there! Hurtling towards the date when the big man arrives, the Christmas spirit in our beautiful city is infectious at this time of year. 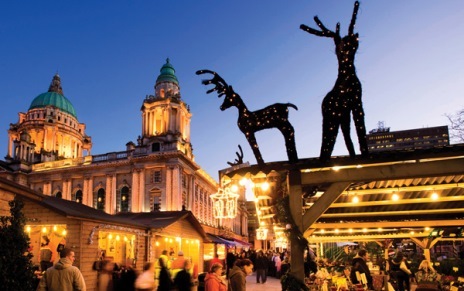 Belfast is transformed over-night into a spirit-warming winter wonderland with twinkling lights and the aroma of Glühwein escaping from the festive Christmas market adorning our majestic City Hall. The market, complete with over 80 wooden chalets, reflects images of the Continental Christmas Markets we only dreamed about visiting in our darkest times. Here you can always find the perfect Christmas gift; hats & gloves, handmade jewellery, wooden toys, satchels, socks, handbags, essential oils, crystals & locally crafted paintings & sculptures and much, much more! Your senses will be pushed to the limit with delicious gastronomic delights that include crepes from France, Belgian chocolates and an exotic selection of ostrich, wild boar and crocodile burgers for those with a taste for adventure. Plenty of photo opportunities to be had also for families & big children alike with the return of the well-loved snow globe & carousel, a popular hangout each year for those romantics who wish to get down on bended knee somewhere memorable! Another must see is St Georges Market which is without doubt an institution in itself, built in 1890-1896 it is one of Belfast City’s oldest attractions. Not only due to the magnificent building itself but the many personalities that work within its walls. Since its £4.5m refurbishment in 1997, this charming Victorian building offers one of the most vibrant and colourful destinations for locals & tourists alike. 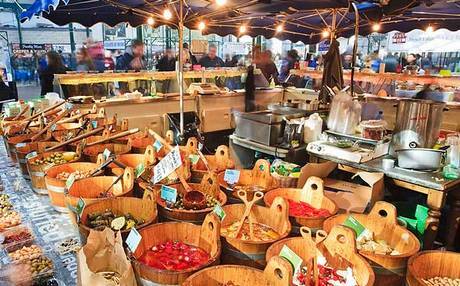 The atmosphere is cosmopolitan, friendly & relaxed, with foods from around the globe simmering away in the background. If it’s just kicking back for a lazy Sunday Morning coffee, catching up with friends over the ‘to die for’ raspberry & pistachio tart or routing through the numerous craft and antique stalls, St Georges Variety Market is the place for you. So you can soak up all this wonderful festive spirit in one of the top 10 city break destinations, we have created two winter warming Christmas packages, just for you. 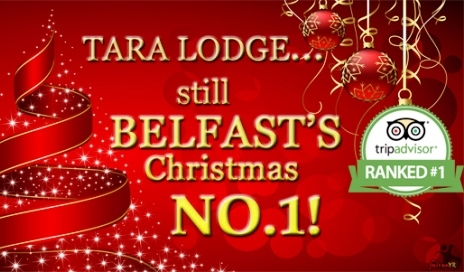 Our first is to celebrate Tara Lodge being voted the number one hotel in Belfast on Tripadvisor for the eighth consecutive year! The Tripadvisor’s Christmas No.1 ‘parcel’ has everything you need to make this hectic time of year a little more relaxing and fun. Perfect to get into the Belfast festive spirit and kick start that ever essential Christmas shopping! Our second, ‘Baby its Cold Outside’ package is for all those lovebirds looking a cosy, romantic winter getaway. 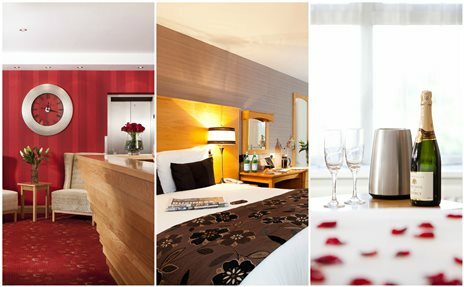 All of course within a stone’s throw from the bright lights of Belfast City centre, just in-case you fancy a night on the town too. Tripadvisor’s No.1: Enjoy an overnight stay in a beautiful Deluxe double or twin room, a la carte breakfast. A bottle of sparkling Prosecco awaits you on arrival accompanied with an exclusive £25.00 voucher for Belfast City’s most stylish indoor shopping centre, Victoria Square. Stay cosy for a little longer with a late 2pm check-out and leave your car in our secure car park until 5pm on the day of departure, just in-case there are any last minute stocking fillers to grab. Baby it's Cold Outside: Enjoy an overnight stay in a luxurious Signature Double with a rose scattered king-size bed. A bottle of sparkling Prosecco awaits you on arrival accompanied with sumptuous chocolate dipped strawberries and a selection of romance gifts. You can stay cosy a little longer with a fabulous a la carte breakfast delivered to your room the following morning.